Please be sure to subscribe to our blog so you don’t miss it. Please credit the items accordingly as they will be verified! ***Important*** Please be sure you are submitting your pictures to the dedicated contest pool. *Do not* submit them to the regular TFC pool. – Please include “TFC Flickr Contest” in the title of your submission. – There is no submission limit. You may submit as many pictures as you like. – Pictures submitted must be new. – You agree to allow your picture to be displayed on the official TFC blog/flickr/website or any other social media owned by the event as well as displayed at the event itself. Early Access beginning a week before the event opens. You’ll be able to experience and observe the work that goes into building, organizing and setting up the event whilst shopping. • Week long early access for the birthday round! • Peqe – Three items from store. Winner’s choice. • Enfant Terrible – Three items from store. Winner’s choice. Hi everyone! 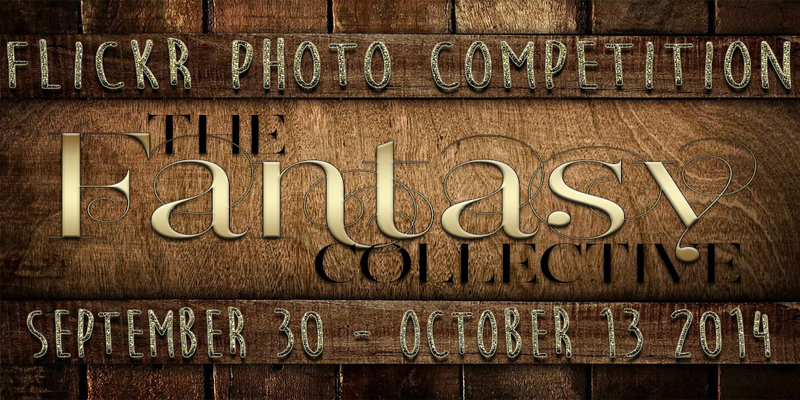 We have had such an amazing round at The Fantasy Collective. Please remember to stop by and check us out before we close on the 10th.